Sublimely linking traditional and modern design aesthetics, and part of the exclusive Wyndham Collection Designer Series by Christopher Grubb, the Acclaim Vanity is at home in almost every bathroom decor. This solid oak vanity blends the simple lines of traditional design with modern elements like brushed chrome hardware, resulting in a timeless piece of bathroom furniture. Featuring soft close door hinges and drawer glides, you'll never hear a noisy door again! Available in multiple sizes and finishes. If your bathroom's asking you for a facelift, the Berkeley is a worthy choice. At once elegant, classic and contemporary, the Berkeley vanity lends an air of sophistication and charm to any bathroom, from a Soho penthouse to a rustic country home. Carefully hand built to last for decades and finished in Dark Chestnut or White, this solid wood vanity has counter options to compete the timeless look. Available in multiple sizes and finishes. 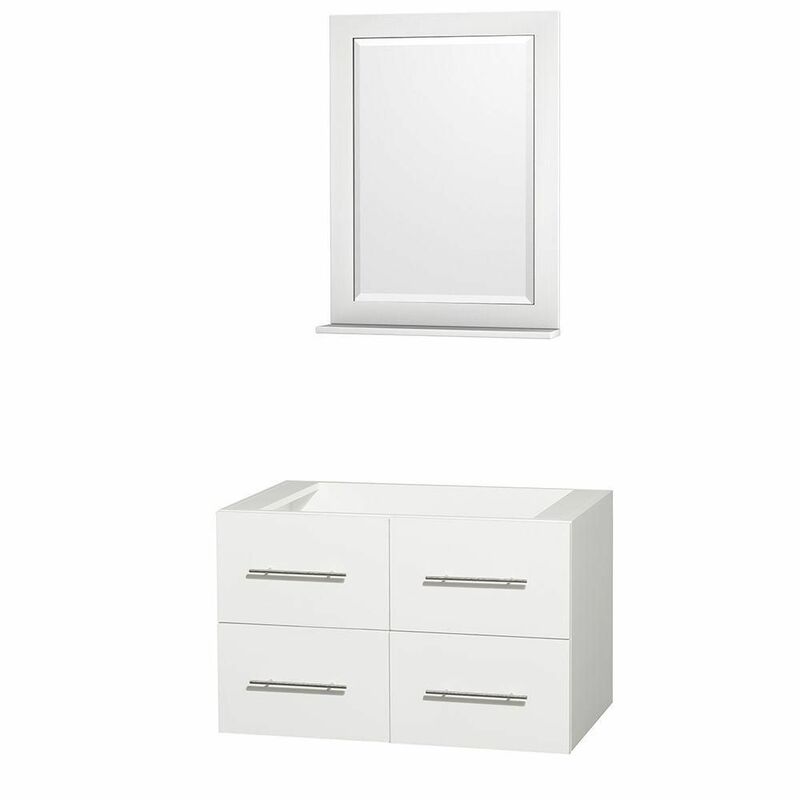 Centra 36-Inch Vanity Cabinet with Mirror in White Simplicity and elegance combine in the perfect lines of the Centra vanity by the Wyndham Collection<sup></sup>. If cutting-edge contemporary design is your style then the Centra vanity is for you - modern, chic and built to last a lifetime. Featuring soft close door hinges, drawer glides, and meticulously finished with brushed chrome hardware. The attention to detail on this beautiful vanity is second to none. Available in several sizes and colors.